Osaka, Japan – DNA is small. Really, really, small. So, when researchers want to study the structure of a single-stranded DNA, they can’t just pull out their microscopes: they have to get creative. In a study published this week in Scientific Reports, researchers from Japan’s Osaka University explain how they came up with a really small solution to the challenge of studying anticancer drugs incorporated into single strands of DNA. One such treatment, trifluridine, is an anticancer drug that gets incorporated into DNA as it replicates. While similar to thymine, one of the four nucleotides that make up DNA, trifluridine can’t bind to thymine’s partner nucleotide, adenine. This destabilizes the DNA molecule, resulting in aberrant gene expression and, ultimately, cell death. Therefore, the team at Osaka University set about developing a DNA sequencing method that could distinguish the drug molecules from normal nucleotides in short strands of DNA. Using microscopic probes, the researchers passed an electrical current across a distance approximately 65,000 times smaller than a grain of sand–a gap just wide enough to fit a strand of DNA. 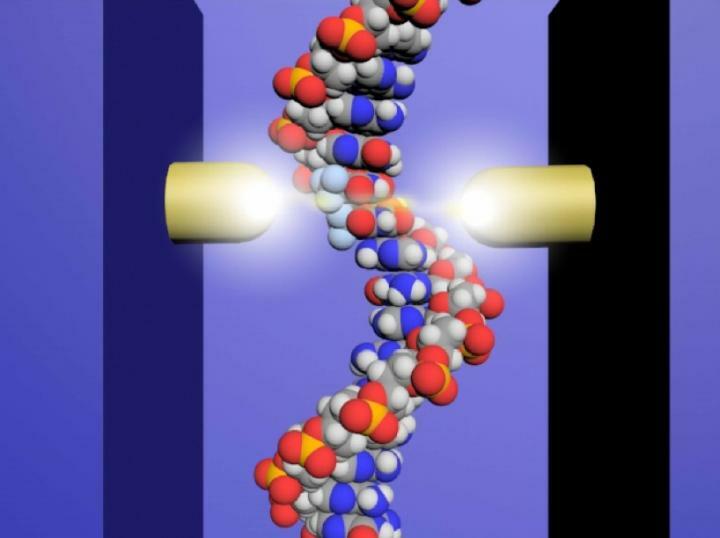 The article, “Direct Analysis of Incorporation of an Anticancer Drug into DNA at Single-Molecule Resolution,” was published in Scientific Reports at DOI: https://doi.org/10.1038/s41598-019-40504-x. Osaka University was founded in 1931 as one of the seven imperial universities of Japan and now has expanded to one of Japan’s leading comprehensive universities. The University has now embarked on open research revolution from a position as Japan’s most innovative university and among the most innovative institutions in the world according to the Nature Index Innovation 2017. The university’s ability to innovate from the stage of fundamental research through the creation of useful technology with economic impact stems from its broad disciplinary spectrum.